We deserve to know, and we are obligated to know, the cost of America’s love for football. Why do I believe the film Concussion will deliver a teeth-rattling blow to the NFL? Why am I sure this Christmas-release Oscar hopeful will raise far-reaching questions about the price we collectively pay for loving football? Why can I guarantee it will it even further erode the already-subterranean reputation of league commissioner Roger Goodell? Because Concussion has something most “message films” do not possess: It’s expertly paced and one hell of a film. If you didn’t really give a damn about the tobacco industry but found yourself riveted by Michael Mann’s The Insider, then this is your film—whether you watch football or not. The pacing, the acting, the kinetic athletic sequences, the use of familiar names, stories, and uniforms, give Concussion an accessible verisimilitude that does not only educate. It shocks. The dramatic structure of the film is as tried and true as Hollywood itself: it’s a David vs. Goliath story, an honest person vs. the powerful, one human vs. the machine. It’s John Henry. It’s Norma Rae. It’s Karen Silkwood. It’s Rocky Balboa. But what sets this story apart is not the structure or even the content: It’s the moment. Concussion is the true tale of Dr. Bennet Omalu—brilliantly played by Will Smith—and his effort to get the National Football League to acknowledge the existence of the brain disease he discovered, Chronic Traumatic Encephalopathy. Dr. Omalu first identified the football-related brain disease in examining the brain of Hall of Fame Pittsburgh Steeler Mike Webster, who died at age 50 in 2002. Webster’s mind was so deeply damaged that he was living in a van, using Super Glue to keep his rotting teeth in place and tasing himself as a method of handling the pain. The NFL has still not come to terms publicly about what happened to people we cheered—like the late Webster, Dave Duerson, and Junior Seau. Unlike most other message films, Concussion is stepping into a live debate that has consumed the nation’s most popular sport for the last seven years. This is not a dramatization, aided by hindsight, of a historical issue long put to bed. It’s not about the well-known perils of smoking. It’s stepping right into something that resembles a pit of vipers but more accurately is a 3,000 mile-wide media hydra, drawing its lifeblood from the National Football League’s economic reach. We live in a time when the NFL is the most popular cultural product this nation produces. In a time of more channels, more choices, more websites, more podcasts, and more options, the NFL’s ratings and reach have only increased and entrenched. The league is pure power, but demonstrably built on a foundation of broken lives. 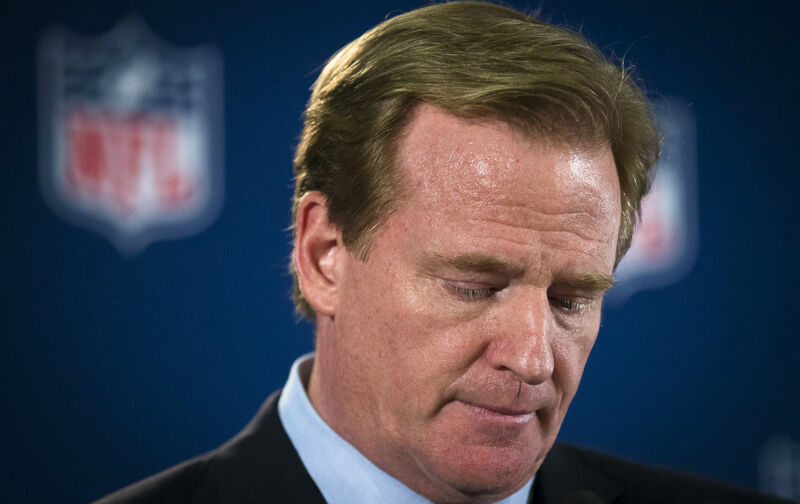 As so many politicians and corporate heads laud Roger Goodell for all he has done to “make the game safer,” Concussion points a finger at the $44 million-a-year man and calls out the emperor for being buck-naked in public. As such, the film goes beyond the artistic success of its actors, script, and pacing to pose a moral question to critics and sports networks. It is about the pull of corporate pressure vs. the public’s right to know. Despite the efforts by the NFL and absurd sports-radio hosts trying to turn whether to play football into a “red state/blue state issue,” even rock-ribbed right-wing Republicans like Mike Ditka are saying that he wishes kids would “take up golf” instead. Science is real, and the media now have to weigh not only the quality of the film but their responsibility to not bury a film that could save lives. If it didn’t sound like a gross 1980s straight-to-Cinemax release, Concussion could be retitled Informed Consent. We have the right to know the costs of imbibing this game. See this film, and learn who has stymied our access to this truth. You will learn something from seeing this film, but Concussion is a triumph precisely because it doesn’t beat you over the head. Instead, it goes right to your other nerve centers, as you reel from thrills to disgust to tears to anger. For many of us, some of that anger will be directed at ourselves.